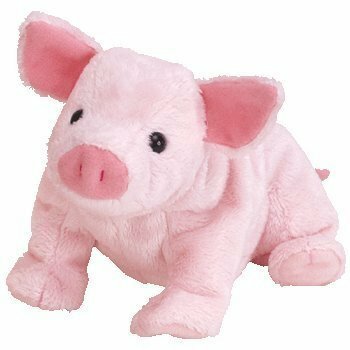 The Top 10 Best Pig Beanie Babies! Today is the start of the Chinese New Year, and this year is the Year of the Pig! According to the Chinese Zodiac, people born in the year of the pig are hard-working, optimistic and enthusiastic! 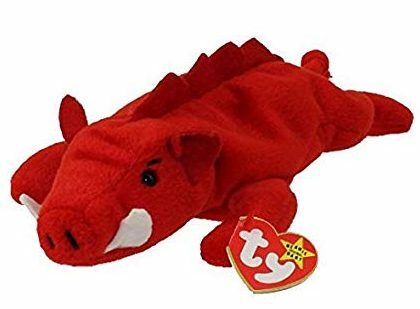 As this year is the Year of the Pig, I have compiled a list of ten of the best pig Beanie Babies (in my opinion, of course). 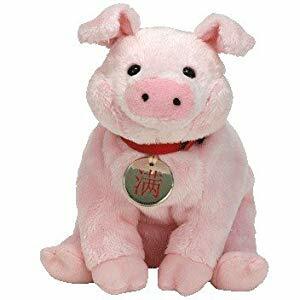 Here are my favourite pig Beanie Babies, in no particular order. Knuckles was released back in April 1999. I always thought this little piggie reminded me of Babe the sheep pig. I liked how she had different coloured trotters to the rest of her and I adore her blue ribbon! Luau was released on 29th April 2004. This little pig could have possibly been named a little more tastefully as her name, Luau, is the name of a traditional Hawaiian party, where the main dish is Kālua pig. However, I think this cute little pig deserves to be mentioned in this list. Wilbur is based on the character of the same name from the E. B. White book, Charlotte’s Web. In the story, Wilbur is a pig that’s destined for the plate, when his friend, a barn spider named Charlotte, saves him from his fate by writing messages in her web to convince the farmer that Wilbur is special and to spare him. I thought Squealer deserved to be on the list considering he was one of the first Beanie Babies released! This little guy was one of the original nine, along with Chocolate, Legs, Pinchers, Cubbie, Flash, Patti, Splash and Spot. Stubby was a cute little pig released in 2004. He is a little different to most pigs released by Ty. 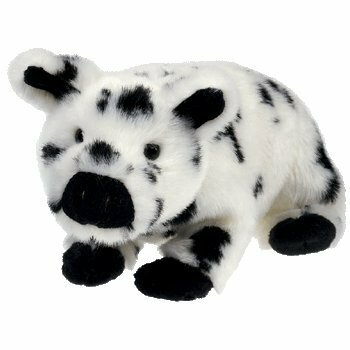 Instead of the usual peach/pink coloured pigs, he has a beautiful white fur covered in black patches, almost like a Dalmatian! Since it is Chinese New Year, I couldn’t leave out the Zodiac Pig! 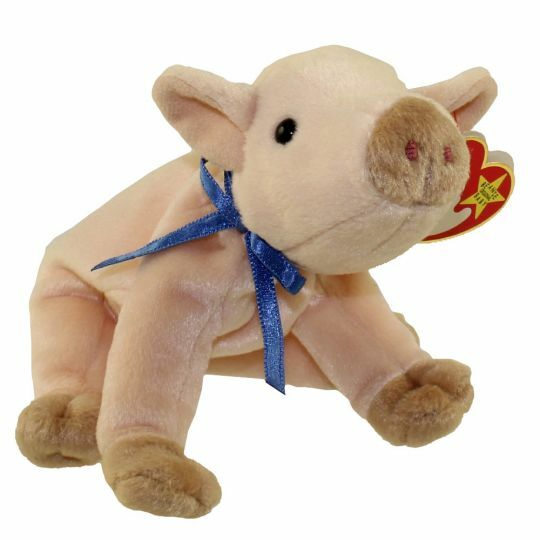 This Chinese Zodiac themed Pig was released in 2000, along with all the other animals of the Chinese Zodiac. These included, the Pig, Monkey, Ox, Goat, Dragon, Rabbit, Rooster, Tiger, Snake and Horse. This scary-looking Beanie Baby is called Grunt. Grunt is a Razorback, a type of Wild Boar. His tag says that although he looks kind of scary, he’s actually a bit of a big softie. Tepig is a pig Pokemon from the Pokemon game and TV series. Although he isn’t your traditional pig Beanie Baby, Tepig is based on pig characteristics. 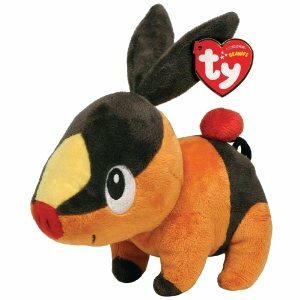 Tepig was released along with five other Pokemon Beanie Babies. These were Pikachu, Pansage, Oshawott, Axew and Snivy. Pigling Bland was a character from the Beatrix Potter book, The Tale of Pigling Bland. The Pigling Bland Beanie Baby was exclusively available in the UK. 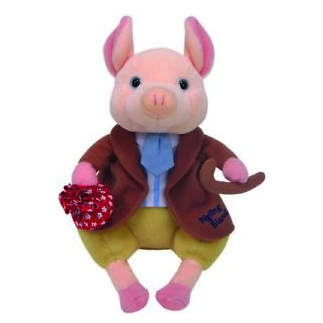 He was usually found with the words “Pigling Bland” in blue thread on his brown jacket. However, there was also a variation with gold thread which was exclusive to The World of Beatrix Potter, which is an attraction in Cumbria, and Harrods. This Zodiac pig was released in 2006 ready for the Year of the Pig in 2007. He is similar in design to Wilbur, but he wears a red collar around his neck. 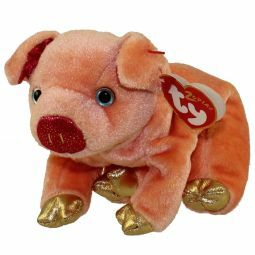 This Zodiac pig was an Asia-Pacific exclusive Beanie Baby, unlike the 2000 Zodiac Pig, which was available worldwide. 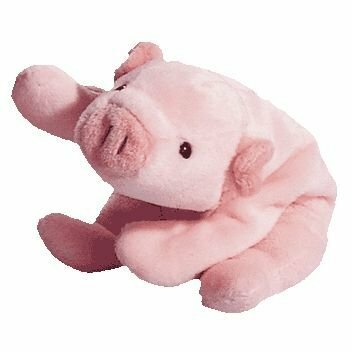 Do you have a favourite pig Beanie Baby on this list? 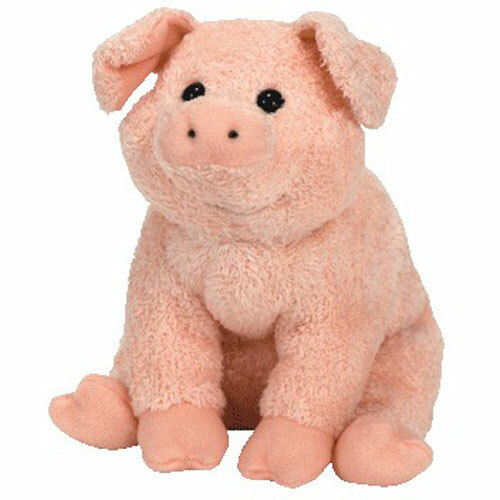 Or do you have another favourite pig Beanie Baby that I’ve left out? Feel free to share your favourite in the comments!